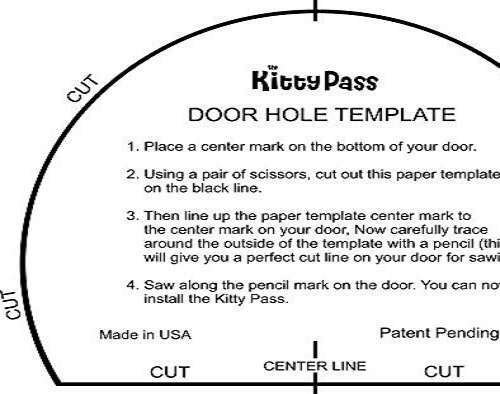 "The Kitty Pass" sounds a little odd, but I guess they couldn't really call it "The Kitty Hole" without experiencing some PR backlash, now could they? 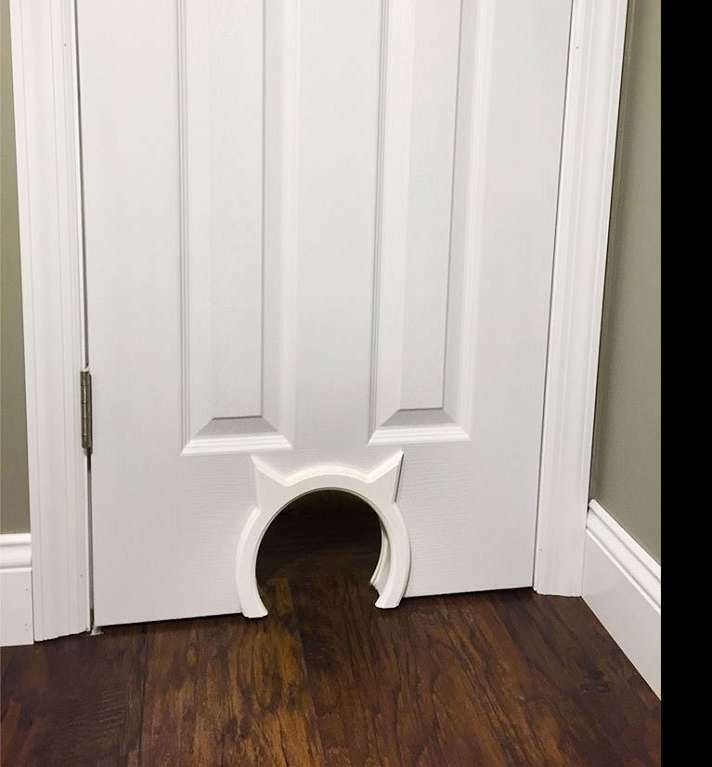 This interior cat door is made for installation at the base of the barrier between your family and your cat's smelly, vile, noxious litter box. Sorry, but it's true. 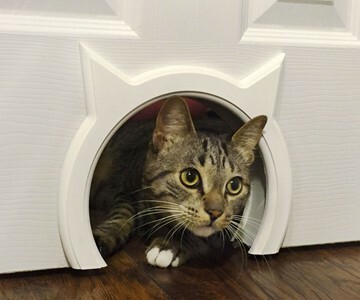 I can't tell you how many people I've heard go on about how their cat's litter / box is so contained and transcendent that "no one who comes over can even tell a cat lives here!" And the first thing I smell when I walk in the door is cat. And now I live with one, and so myself must join the other feline pet owners on their search for litter containment and transcendence. The Kitty Pass could be a legit start. The Kitty Pass is designed to fit any standard interior door between 1-1/4" and 1-3/4" thick, and installs in 15 to 25 minutes. 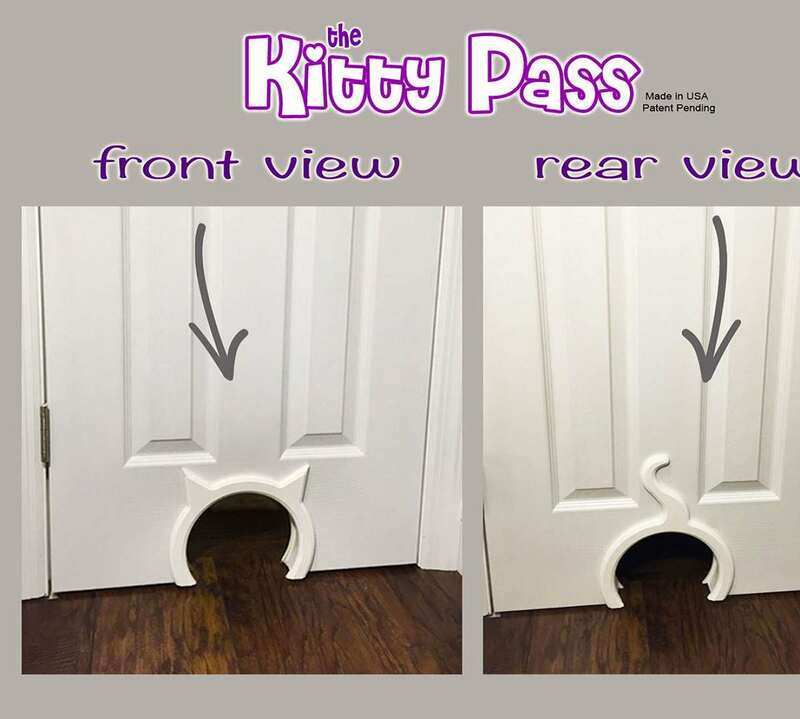 The pass-through opening is 7-1/2" wide x 6-1/2" high, which should be suitable for cats weighing up to 20 pounds (haha, not you my mama's neighbor's fatty cat Willard). The opening arrives finished in a smooth semi-gloss white so your kitteh won't get scratched or snagged, and hopefully he'll acknowledge that feature and pay it forward when your boss and his wife come over for dinner and lean down to pet him. You can also paint the door to match your own if you want. 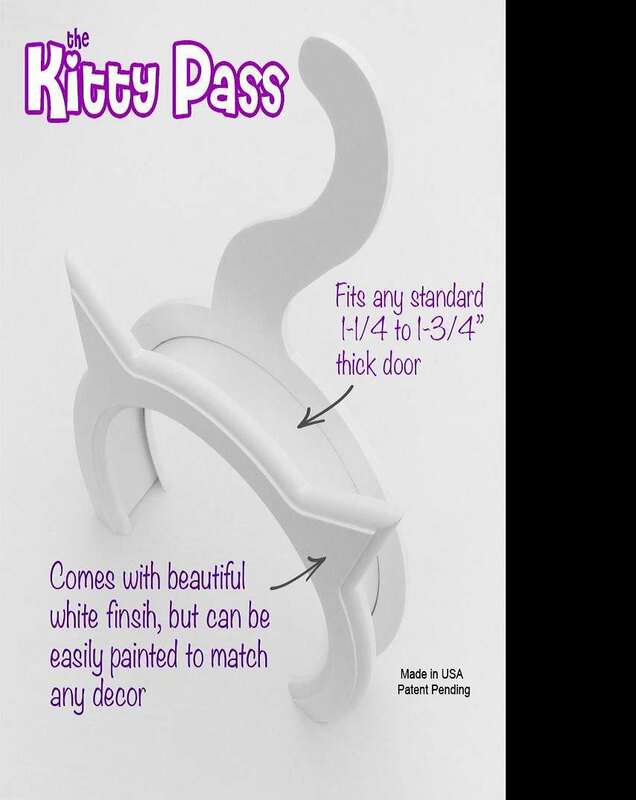 Oh, and in case you didn't notice, the Kitty Pass has cute 'n' clever cat ears on its front and a cat tail on its back side.